How low can Nacho Patrol go? If we’re talking limbo, then not all that low (unless we’ve stretched beforehand). But when it comes to nachos, there are no depths we would not plumb. 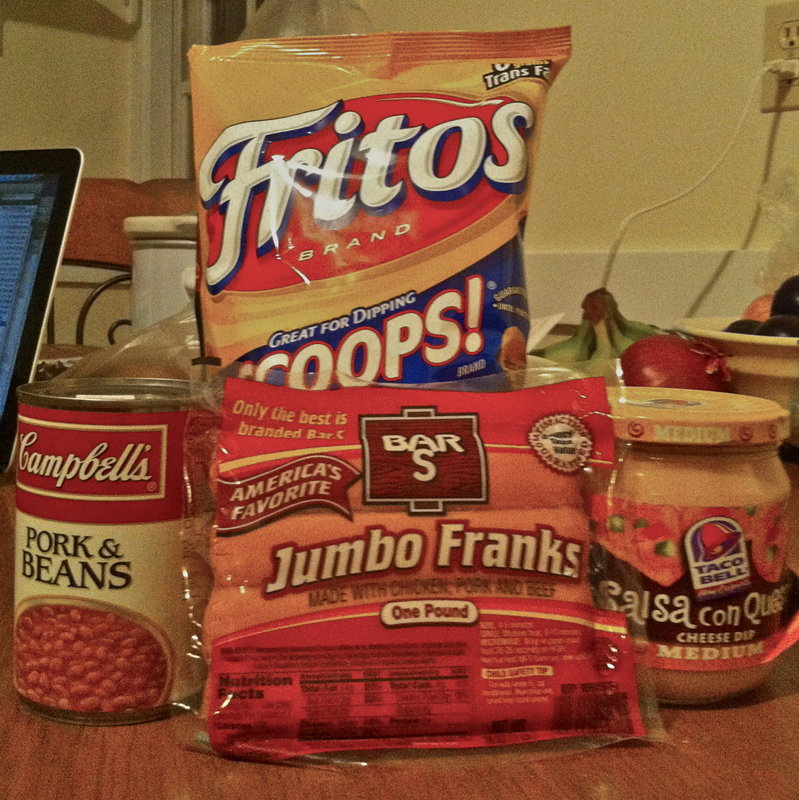 Freshness be damned– today, we’re aiming for nachos laden with enough preservatives to let them outlast next millennium. Hence, our trashiest NP Original to date. 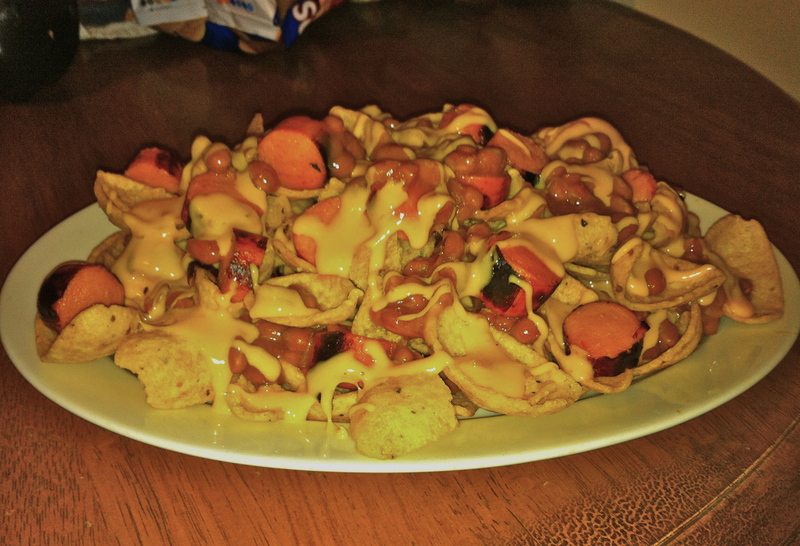 Ingredients: One bag of Fritos (large scoops make for the best nacho experience), a pack of hotdogs, a can of pork and beans, and queso cheese sauce. We had originally planned on using pork rinds as chips to up the pork percentage but found them woefully unavailable in area grocery stores. Maybe next time, if there is a next time…. While eating these we pondered, “Is there anything a Frito cannot scoop?” Indeed, the dense, crunchy chips held up famously to ingredients that would have left sodden any other delivery vehicle. The texture of the topping was a little too uniform– slicing the hot dogs and then toasting them would have added some welcome crunch. Overall, the flavors mixed well but the cheese sauce…well, we just don’t really like cheese sauce, and the Taco Bell brand that we picked up left much to be desired. We wanted to keep eating these but our right brains stopped us before we started to consider picking up a rack of Budweiser and heading out to the monster truck rally. White Trashos: a success, but not likely to be repeated….unless we track down some pork rinds.